High vapour permeability allows the structure to “breathe”. Lime can accommodate subtle movements (without cracking). Lime can regulate humidity by actively managing moisture (hygroscopic). In contrast to sympathetic lime render, many traditional buildings are often incorrectly renovated using harder, relatively impermeable materials designed for modern constructions. The result can aggravate or be the direct cause of problems associated with damp. It is possible for lime render to be applied by the enthusiastic amateur given a little tuition and guidance. Although work needs to be carried out correctly, the beauty of the traditional building is that it rarely looks right when everything is straight and perfect. So your can work comfortable in the knowledge that a degree of ‘character’ would not look out of place! 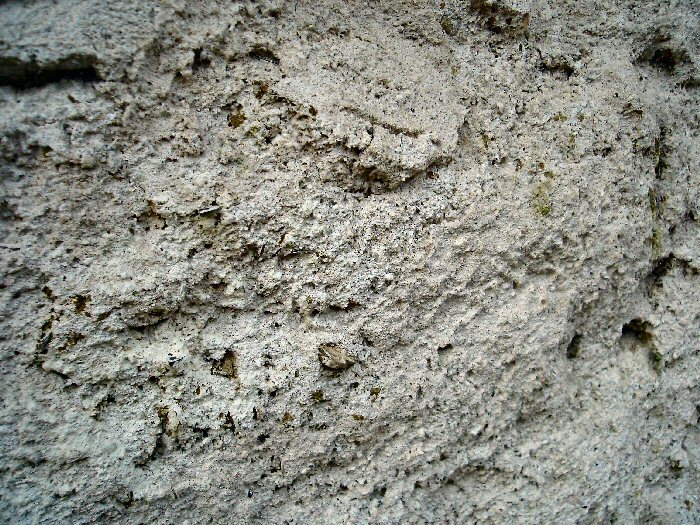 Lime render gains strength by carbonating over many months with atmospheric carbon dioxide. Whilst pure lime putty mortars are suitable inside or for sheltered locations, it’s recommended that for exposed elevations each coat of lime mortar has a pozzolan added. These are materials that react with the lime to give a harder, more frost resistant lime render. Historically pozzolans were derived from volcanic ash, crushed bricks and other forms of burnt clay. Alternatively, some applications lend themselves to the use of natural hydraulic lime renders. The methodology is similar to the above guidelines but our advice is that these specifications require careful selection of appropriate sands and understanding of the actual strength of each NHL before proceeding. Visit www.naturalhydrauliclime.net for more details. Ensure that appropriate scaffolding is in place and that the work site is safe for workers and public. Remove the existing render, except any existing sound lime render, taking care not to damage the structure. Look out for very thick patches of render that could be load bearing. It may be preferable to render on top rather than risk rebuilding an area! Dub out any deep holes in the wall with a Haired Lime Mortar. Rebuild defects with cob blocks, bricks or stone as appropriate. Treat wooden lintels with preservative and counter batten with lath if rendering over them. Apply a hand harled coat of Secil Consolidation Mortar at approximately 3 mm to provide a key to the wall. This is recommended for all substrates. Leave to dry for a minimum of 24 hours. 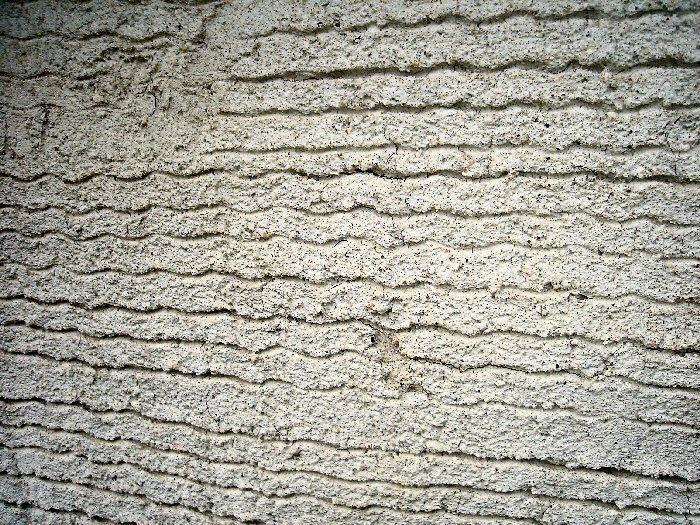 Apply sufficient scratch coats of Haired Lime Mortar with added pozzolan (Argical) up to 15 mm thick to smooth the contours of the wall. The hair reduces any slumping whilst applying and shrinkage cracking whilst curing. Key each backing coat with a scratch comb. Leave to dry for approximately 5-7 days. Apply a top coat of floated Unhaired Lime Mortar with added pozzolan (Argical) at approximately 8-10 mm. If you want a rough cast finish then an additional coat of hand harled lime putty mortar or Secil Consolidation Mortar can be applied. Safety: Lime is caustic. Always wear eye protection and protective gloves and clothing and follow the safety instructions on the labels. It is very important to control suction by lightly spraying the surface with water half an hour before applying each coat. In warm weather it may be necessary to spray each coat afterwards. Protect each render coat during the curing process from the elements such as hot drying wind, strong sun, rain and don’t apply in temperatures below 5 degrees centigrade when there’s a risk of frost. Cover with hessian sheet and should leave in place as long as necessary. Allow sufficient time for all coats to dry before applying subsequent coats. To test whether a coat is ‘green hard’ the surface should be resistant to a fingernail. Many factors will influence the timing, such as the season, exposure and the thickness of the coat. It’s normal to expect a day for the harled coat to dry and harden and up to one week for each of the thicker scratch and float coats. Do not apply lime render too late or early in the year wherever possible to avoid damage and failure due to frost. Hardening by carbonation takes up to a month for each millimetre of thickness of render. Therefore it may take 20 months before mortar has carbonated to a depth of 20 mm. Avoid the use of modern paints to lime render as they can restrict function and potentially have detrimental consequences further down the line. Limewash is the most traditional paint to apply but is not particularly durable and will require repainting every 3-7 years on average. Allow four coats of limewash for painting finished lime render. Alternatively, use a more hard-wearing, highly breathable silicate paint. These paints have a longer life expectancy, require fewer coats and are generally more water repellent. SecilTek Silicate Paint is available from Mike Wye in over 2,000 possible colours. When applying a rough cast finish you will require the same amount again of the Consolidation Mortar in the harled coat. One day Practical Use of Lime Course. One day Lime Plastering Course. Contact us for more guidance and information.